Last month, on an empty stretch of road somewhere in northwestern Syria, tens of military vehicles slowly drove single-file in a parade led by a little-known jihadist group. In a time when many armed groups are struggling to stay alive and are under constant threat of bombardment by Syrian, Iranian, Russian or U.S. warplanes, it is becoming increasingly rare to see such outward and ostentatious displays of strength in Syria. But what is especially surprising about this particular parade is exactly who did it: it was not Syrians or even Arabs, but Chinese separatist fighters. The group behind the parade is called the Turkistan Islamic Party (TIP), and is estimated to have between 2,500 and 3,000 Chinese jihadists fighting against the Assad regime in Syria. Even more bizarre still is the fact that TIP’s primary goals rest not in defeating Assad, but rather in creating an independent state in China’s Xinjang province, where the group’s members come from. The group has received little coverage from publications and blogs dedicated to analyzing the Syrian Civil War, and almost no mention in major news outlets. TIP has flown under the radar of the civil war, despite it representing an important shift in global jihad. So what is the Turkistan Islamic Party? Why is their main fighting force in Syria of all places? And what does their presence mean for the region? What is the Turkistan Islamic Party? The Turkistan Islamic Party, also known as the East Turkistan Islamic Party, is a Chinese separatist movement whose main goal is to establish an independent state in the Xinjiang province in northwestern China. The group is allied with Al Qaeda and has a presence in Afghanistan and Pakistan in addition to thousands of its members living and fighting in Syria. Within Syria, they are concentrated towards the country’s northwest, in the Idlib Governorate, where they work closely with Hayat Tahrir al-Sham (HTS), an umbrella organization of opposition groups that include Jabhat Fateh al-Sham, formerly known as Jabhat al-Nusra, which has historic ties to Al Qaeda. Uyghur fighters began appearing as early as 2012 in Syria, but only publicized their presence in later years, eventually releasing photos and videos of their operations and members. This stands in contrast to other hardlined jihadist organizations like Jabhat Fateh al-Sham or ISIS, who devote much of their resources to maintaining tight control over civilians with religious police and a strict interpretation of Sharia law. TIP’s fighters are ethnically Uyghur Chinese, a Turkic group who primarily practice Islam and live in northwest China. China’s Uyghur population has long harbored separatist ambitions from China, which has cracked down on the Uyghur minority population, creating and selectively enforcing secularist laws against them. The group has been involved in several Aleppo offensives in conjunction with other opposition groups, and helped solidify Idlib under opposition rule, making them an important military force in the country’s north. Because of TIP’s unified membership and agenda, it stands as one of the most cohesive and capable opposition factions in the ever-fragmenting civil war. Despite this, it receives virtually no media attention. Why are Thousands of TIP Fighters in Syria? The answer to why TIP has devoted so much of its resources to fighting Assad in Syria is far from clear. In TIP’s propaganda, specifically its magazine Islamic Turkistan, TIP decries Chinese support for the Syrian regime, which it deems tyrannical, and condemns the ‘atheist’ governments of China and Russia of supporting Assad. But extremist propaganda, while helpful to understanding the group’s general stances, does not shed light on the strategic objectives of TIP. In other words, Yinan claims that TIP is using Syria as a training ground and platform to raise its global profile. If TIP has indeed devoted so many of its fighters to Syria to raise its global profile, then it is crucial for it to both ingratiate itself into the global jihadist network via making amiable connections on the ground and to actually return back to China to take advantage of its newfound status as a formidable jihadist group. While it has solidified its place in the civil war alongside Jabhat Fatah al-Sham, among others, it remains to be seen whether its fighters will be able to survive the war and return to China. The group risks being severely weakened and having its separatist agenda jeopardized if it is cornered in Syria. Nevertheless, its presence, present success and agenda represents an important but under-reported dimension of the Syrian Civil War and a potential new phase of global jihad. The Syrian Civil War erupted amidst a wave of popular demonstrations against governments throughout the Middle East and North Africa. However, as it became increasingly violent, political space opened up for extremist organizations to seize power in chaotic regions. The most notorious of these groups, ISIS, quickly established a caliphate in 2014 only to slowly crumble. At its peak, ISIS and Jabhat al-Nusra were drawing in tens of thousands of Sunni Muslims throughout the world, who made the perilous journey to Syria to contribute to the fight against Assad and to help establish Islamic rule. In short, Syria became a platform for jihadists. This jihad went global in its focus once international actors began intervening on behalf of the Syrian regime and its opposition. Turkey, Russia, Iran, the EU, and the U.S. all took prominent roles in picking sides and providing military and logistical support to their allies. This expanded the range of states who became specific targets of extremist action. International intervention in Syria is reminiscent of the Soviet Union’s invasion of Afghanistan in the 1980s. The USSR’s involvement in Afghanistan set off a global jihadist movement, compelling thousands of young Muslims to fight against the invasion. Within Afghanistan, multinational jihadist networks were formed. Once the war ended and jihadists went back to their home countries, many of them formed local organizations aimed at toppling their respective countries’ regimes. Fawaz Gerges argues in his book, “The Far Enemy: Why Jihad Went Global,” that from the ashes of the Afghanistan Civil War rose a new idea of combatting regimes around the entire globe who were perceived as threats to the Muslim world. If the goal of fighting the Chinese government can be furthered via fighting Assad in Syria, then the nature of the Syrian Civil War has fundamentally changed; its scope has expanded and it has developed a unique symbolic power that transcends the country’s borders. Although it is still ongoing, the Syrian Civil War may be the next launchpad for such a jihadist network, and TIP is looking to ingrain itself within it. With this shift and TIP’s involvement, China is at risk to become a target, not just from TIP, but also from its allies with which it has fought alongside. 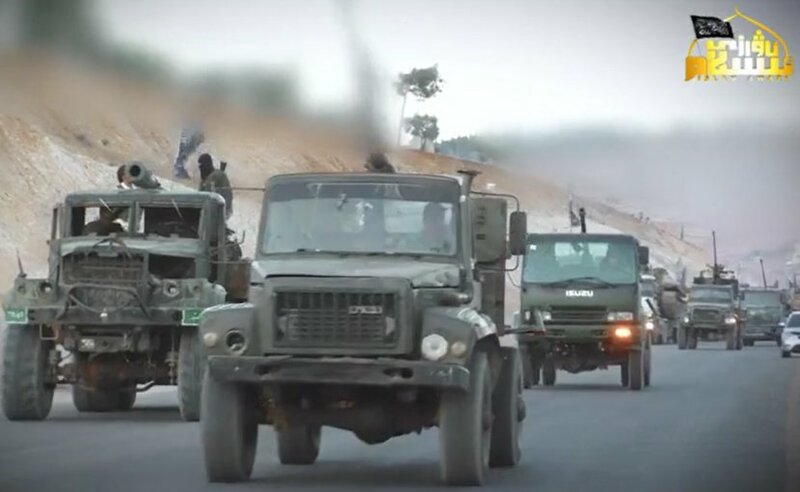 On Nov. 29, it was reported that China was sending two units of its special forces into Syria to stamp out TIP in Idlib. And while some of these stories have been removed and there is no evidence Chinese special forces are actually in Syria, it is clear China recognizes this threat. If TIP’s fighters are able to gain experience in Syria and win the loyalty of other groups, the movement to create an independent Islamist state in China could gain global traction. This would be amplified if China continues its discriminatory policies against its Uyghur Muslim minorities, whose civil and human rights have been restricted by the Chinese government. Such policies fuel the rallying cry that Muslims are under threat by secular, ‘atheist’ governments and breed domestic radicalization. Though TIP’s fighters in Syria are continuing to fight with virtually no major press coverage, their presence deepens and complicates both the Syrian Civil War and the typical picture of a jihadist fighter. If TIP achieves its objectives in Syria, Mansour’s sentiment may become a common calling card in global jihad.